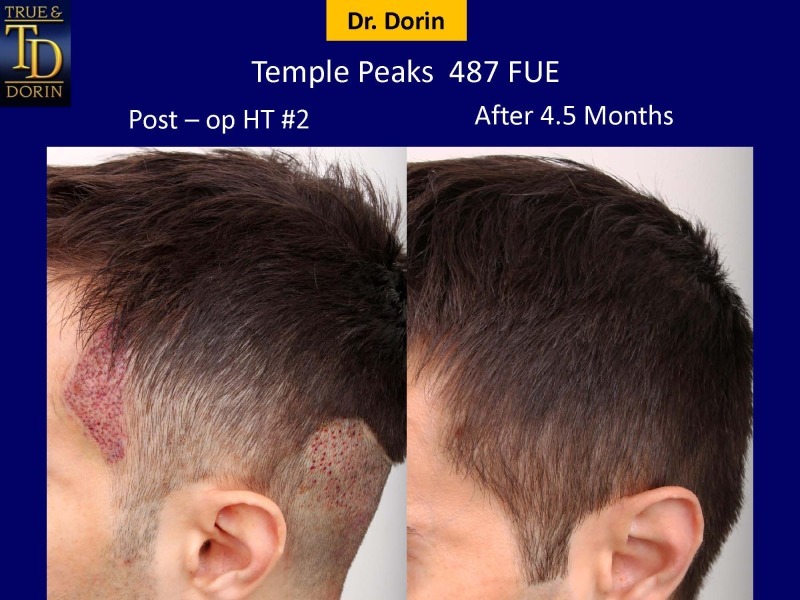 Temple peaks are little point in front the ear where the hairline comes down to the sideburn, most people have that. For some people, they lose the hair in that area as well. 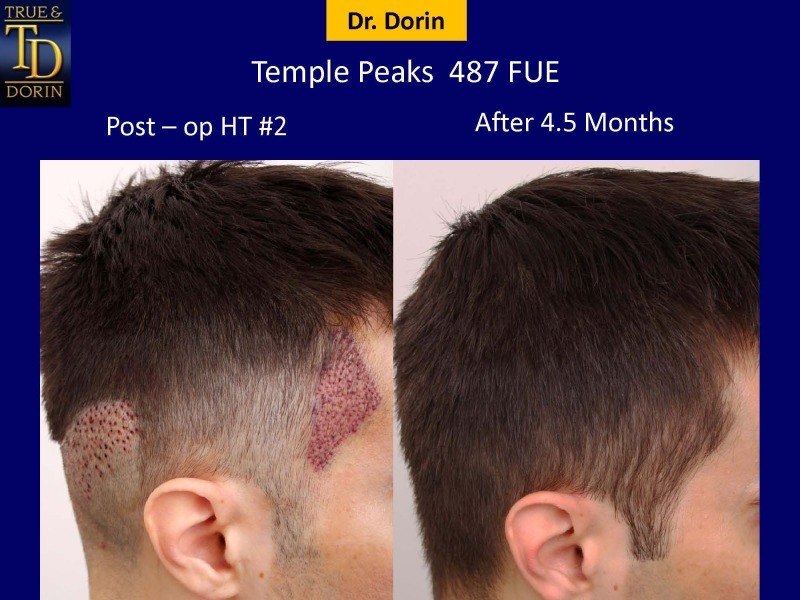 Restoring temple peaks is simply restoring that triangle of hair. Restoring that hair is an important cosmetic detail. The critical thing is to make the hair lie flat to the skin. You want to make it grow flat and grow down and backward at a natural angle. It takes a high level of technical skill and technique. It's a detail that can have a really nice benefit for patients. 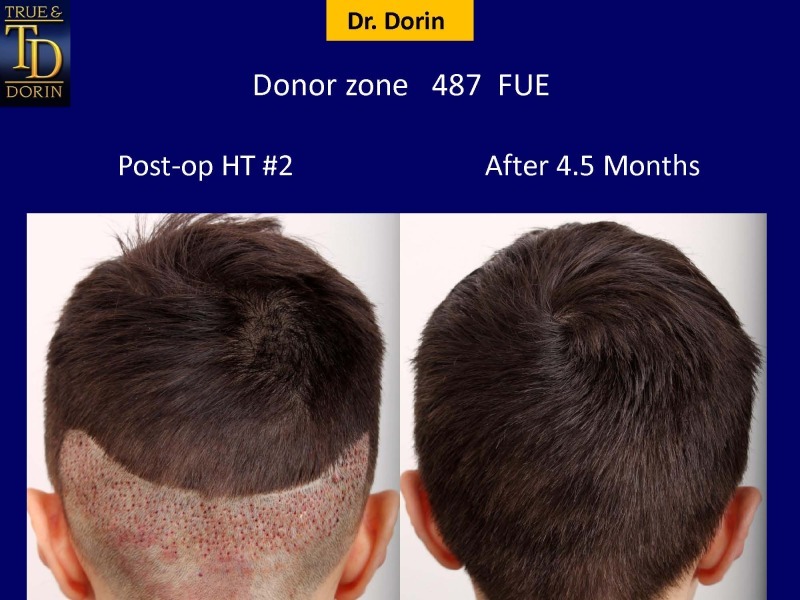 In the following pictures, you will see pictures of an immediate post-operation and 4 months progression of a follicular unit extraction performed by Dr. Dorin.